Some of my favorite picture books are quiet stories that enlighten and encourage children. Here are some examples of inspirational stories that use beautiful, lyrical language. I believe the more we read, the stronger our writing becomes. As you enjoy these stories, notice the use of personification, alliteration, repetition, vivid verbs, and rhythm of the words. Linda is giving away one copy of Mr. McGinty's Monarchs at the conclusion of ReFoReMo. To be eligible, please leave a comment on this post and strive to read mentor texts regularly. 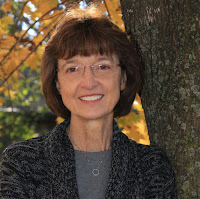 Linda Vander Heyden is the author of MR. MCGINTY’S MONARCHS (Sleeping Bear Press), OH, JACK! (Sleeping Bear Press, 2018), and A IS FOR ACK! (Sleeping Bear Press, 2018). She hopes her stories will make children smile…and inspire them to make the world a better place. You can visit her website at www.lindavanderheyden.com. I've just finished some research on lyrical language and associated devices, so this post is perfectly-timed for me. I work a lot in rhyme, and I've decided to challenge myself by writing an upcoming project in this style. Thank you for these great mentor text suggestions! Hi Jennifer, I love that you also write in rhyme! I've always loved rhyming stories when done well. One of my favorites is Jill Esbaum's ESTELLE TAKES A BATH. :) Wishing you great success with your new project! 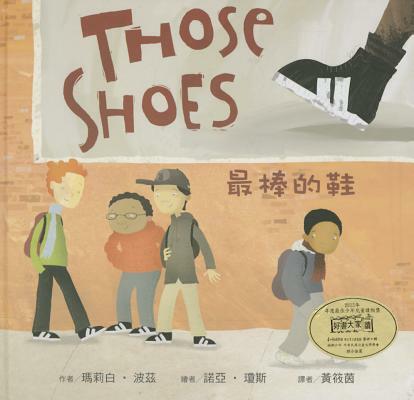 Great mentor texts for this type of book. It takes a special gift to carry off this type of writing! Hi Sherry, glad you felt these books were a good representation of lyrical writing. I think they have the ability to draw us into a scene and feel like we are right there with the characters! Such inspiring books! Thank you for the ideas/resources! Great books to inspire both children and those that write for them. Thank you for this list. I am so happy to see this post because I write lyrical stories. You've suggested some excellent books to read. And butterflies are one of my favorite things so I absolutely love your book. Hi Linda! Thanks for your kind words about MR. MCGINTY'S MONARCHS! And I love that you're writing lyrical stories. Two more of my favorites are FREEDOM SONG by Sally Walker and KISSES ON THE WIND by Lisa Moser. They will pull at your heart. All the best in your writing journey! Love me some lyrical language! Will look out for these recommendations. Thanks! Hi Rebecca, love me some lyrical language too! :) Let me know if you have some suggestions as well! Lyrical writing in picture books is so important! 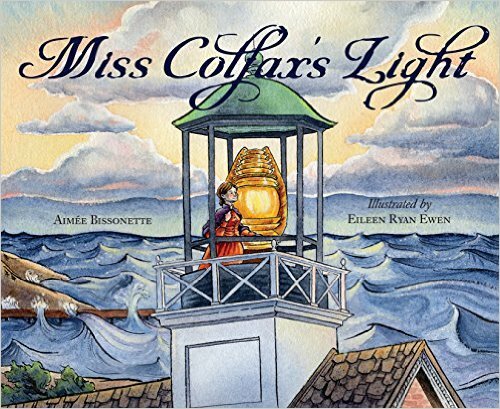 And I'm especially grateful for your "Miss Colfax's Light" recommendation, since I'm trying to find more pb biography mentor texts. Thank you so much, Linda! Hi Katelyn! So glad you enjoyed MISS COLFAX'S LIGHT. 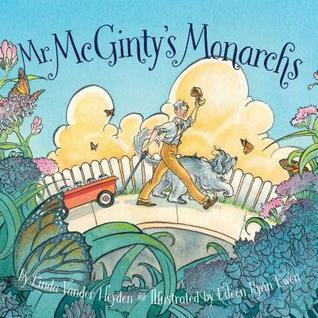 :) Eileen Ryan Ewen, the illustrator, also illustrated my PB, MR. MCGINTY'S MONARCHS. Another PB biography I'd recommend is FREEDOM SONG: THE STORY OF HENRY "BOX" BROWN by Sally Walker. Wishing you much success with your writing! Very timely for me, as I'm also researching and writing a lyrical pb. Thank you! Hi Tina! Glad you found the lyrical mentor texts helpful. Best of luck with your lyrical pb and all your writing projects! The language we use in our books is key to making them meaningful, fun, and rereadable. Looking forward to reading these mentor texts. Thanks, Linda! Linda great post I met you in Iowa best wishes. nice seeing you again. Hi Terri! Glad you liked the post. Aren't Iowa events amazing? :) Wishing you all the best with your writing! Thanks, Sharon! Glad you liked the books. There are so many more lyrical, remarkable stories I would have liked to include. Some are so beautiful they make me cry...TEA CAKES FOR TOSH by Kelly Starling Lyons and FREEDOM SONG by Sally Walker to name a couple. I love quiet & lyrical picture books & am looking forward to reading a few new-to-me ones. Thank you! I love lyrical picture books. Hi Janet, glad you enjoy this type of story. Thanks for taking the time to read my post! Best of luck with your writing journey. I think these books will be very helpful for me and plan to read them. Hi Linda, sure do love your choices today. I see a few I need to read yet. TY for the suggestions. I love reading and writing lyrical picture books. 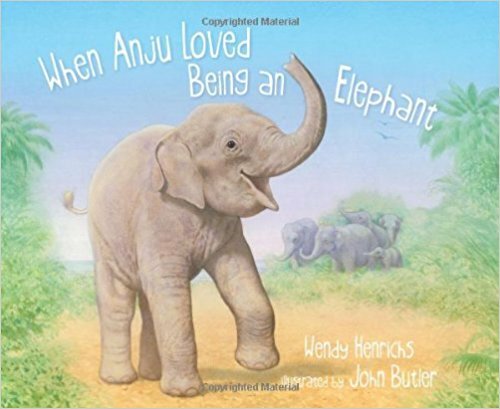 I need to check out When Anju Loved Being an Elephant. Thanks! Hi Manju, I love that you're writing lyrical stories! I think this type of writing is a lot like writing poetry...finding just the right words and pouring your heart out onto the page. 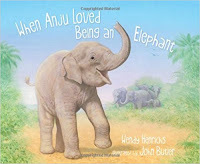 I know you'll love Anju! Wendy Henrichs is an amazing writer. She is also an environmentalist who loves all God's creatures. Best of luck on your writing journey! What a wonderful selection of books. Lyrical picture books are definitely where my heart lies. Thank you so much for this selection. Loved reading every word. I hadn't thought of these in terms of "lyrical". I tune in to alliteration, but I see I'll go back and pay closer attention to the language in these books. Hi Sue, I think of lyrical writing as having a musical quality...the beauty of the words, the rhythm of the language, the imagery - with every word carefully chosen. Wishing you all the best with your writing! Thank you for a good list. I also love inspirational picture books that use beautiful, lyrical language. Thanks for these suggestions! Lovely post and lyrical mentor texts. Since I have a butterfly garden, I really appreciate "Mr. McGinty's Monarchs" and its message. Thank you. Hi Beverly! Thank you so much for taking good care of the butterflies! I can't imagine a world without them. And thank you for your kind words about Mr. McGinty's Monarchs! Thanks for these suggestions, Linda. My style is not lyrical, but I have some ideas that beg for a more lyrical approach. These will help. Hi David, that's one of the things I love about picture books...all the different styles! Wishing you much success with your writing! Linda - thanks for this post and beautiful mentor texts. I love lyrical texts and it's great to see them highlighted here! Hi Melissa, I am so happy to read all the responses from people who love lyrical picture books! I have a grandson who only likes silly, quirky ones. I love those too! But I'm especially glad there is a place for the quieter picture books. Thank you! Thank you for your recommendations of picture books that use lilting, lyrical language. Sometimes a "quiet" story is just the thing a child needs, especially one that enlightens and encourages. A Dance Like Starlight is a new favorite! Thank you for sharing your favorite lyrical texts. You are so right about the beautiful prose of each book featured including your own. I have read all of them. MR. MCGINTY'S MONARCHS will forever have a place in my heart as it shows how important monarch butterflies are and why mowing down milkweed is so harmful. I love how you incorporated the balance of nature naturally into the story so children understand the simplicity and complexity of the situation for Mr. McGinty. The book is beautiful through and through. Great post! Thank you so much, Traci! I'm grateful for your kind words. Writing MR. MCGINTY'S MONARCHS was a labor of love. I know how much you care about the environment. Thank you for that too! I love lyrical language and can't wait to read these books! You're most welcome! Wishing you much success (and fun) with your writing! Such inspiring mentor texts! Thank you! My pleasure, Ms. G! :) Hope you find them helpful. I loved A DANCE LIKE STARLIGHT and ONE PLASTIC PURSE. I'll definitely look for the others. Thank you. I adore every one of these books! Thanks for discussing them. Thanks for reading and commenting on my post, Sue! So happy to be able to share these quieter stories. I love Mr. McGinty's Monarchs. Lyrical, quiet books are among my favorite picture books, even though it often seems daunting to have my own quiet manuscripts published. Thank you for introducing me to some lovely new books! Thank you! I'm so pleased you love Mr. McGinty's Monarchs and that you're writing some quiet stories. I used to wonder if it was mostly the silly, quirky stories that got published, but I know there's definitely a market for both. Wishing you the best of luck with your writing! I so appreciate your suggestions on lyrical texts and will study these. Perfect! I am always blown away by the incredibly lyrical language used in some Non-Fiction picture books. It's so much more challenging than just making up whatever you want! Hi Rita! Your comment made me smile. :) And you're right...it IS challenging! Hi Nancy, I hope you're finding them helpful. Happy writing! Books after my own heart! Lyrical, quiet texts are my favorite. I look forward to reading Linda's suggested titles (and MR. MCGINTY'S MONARCHS, too!). Hi Heather, you're most welcome. Wishing you great success (and joy) with your writing! It's easy to get discouraged when the rejections say, "too quiet" about our manuscript. Thanks for giving examples and encouraging us to take heart in our lyrical stories. Hi Jen! I absolutely understand. But don't give up! Just keep writing and honing your craft. It just takes one editor to love your story and see the beauty in your writing! Thanks for this post, Linda. I love A DANCE LIKE STARLIGHT, and I was so moved by THOSE SHOES. Kindness and selfless acts are much needed examples among our children and, honestly, us adults. I still have to read the other books. Hi Joana, I absolutely agree. 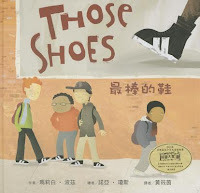 Picture books are a powerful way to teach children about the importance of kindness and compassion in this world. Thank you so much for sharing your thoughts with me. All the best with your writing! Thank you for these beautiful mentor text suggestions! Beautiful! I love the same type of books because they enlighten and encourage me as well! Thank you! Hi Angie! I feel the same way! Thanks for allowing me to share my love of lyrical writing with you. Thank you for these books! They are so beautifully written and have such deep themes. You're most welcome, Alexandra. I'm very happy you liked them. Wishing you much success and joy on your writing journey! Can't wait to learn from these texts, thank you for sharing. Hi Linda, thanks for this great list. Can't wait to check these out. By the way, I LOVED Mr. McGinty's Monarchs! Thanks, Rita! You just made my day. :) So glad you loved Mr. McGinty's Monarchs! I hope the mentor texts are helpful and that you enjoy them. Wishing you all the best! What a wonderful collection of books! I'm eager to order thee from the library. Thanks for this list. Much appreciated, Linda. I love a good lyrical picture book and I'm excited to read those that you recommend. Thanks for your post. Your words speak to my heart, Linda Vander Heyden! My goal is to serve the children with lyric and wholesome verse! I agree completely that reading makes you a better writer. Whenever I'm feeling stuck, reading is always the perfect inspiration and it definitely strengthens my writing as well. Beautiful choices! Thanks. Hi Erin! My kids are all grown, and I miss all the bedtimes stories we read together. But I still love reading picture books just for fun. Sometimes my writer friends join me for a weekend retreat, and we read picture books to each other and discuss what works and what doesn't. Glad you liked the stories in my post! Thank you! I love quiet picture books, but I think, sadly, they are hard to sell to publishers. I find them the best to re-read. Hi Savannah, I agree. I think the silly, quirky stories are easier to sell. However, I strongly believe the quiet ones have a place too, especially if they are educational or inspirational, without being didactic. Wishing you much success with your writing! Thanks for sharing this lovely list, Linda! I also love quiet and lyrical stories that inspire kids. Hi Tracey, we definitely have that in common! Hope you enjoy the stories and find them helpful. I am familiar with 2 of these books. I'll reread them with an eye to alliteration, strong verbs, repetition, personification and rhythm with the words. Hi Susan! That sounds like a plan! There's a beautiful book of children's poems called DARK EMPEROR & OTHER POEMS OF THE NIGHT by Joyce Sidman. It's a Newbery Honor Book. If you have a chance to read some of her work, I think you'd see many amazing examples of all the things you mention. Beautiful writing! Thank you, Linda, for sharing these inspirational mentor texts. I love my copy of Mr. McGinty's Monarchs. Every season they fly in and out of my yard and I think of your beautiful book. Nice recommendations. Checking out Mr. McGinty's Monarchs next! 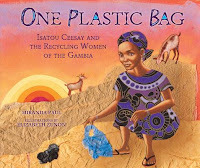 Hi Juliana, hope you find the mentor texts helpful. Thanks for checking out Mr. McGinty's Monarchs! 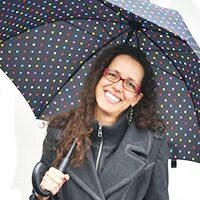 Hi Viviane, thanks for commenting on my post. I agree. 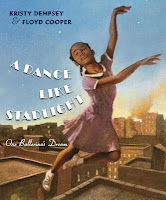 A Dance Like Starlight is beautifully written and illustrated! I love PBs that sing with emotion, quietly or otherwise. Thanks for your mentor text suggestions, Linda. Monarchs are magical and their migration is truly amazing. Thanks for commenting on my post! Glad you love picture books that are emotional. I read one recently that made me cry. It is called OUR TREE NAMED STEVE by Alan Zweibel. It is funny and poignant at the same time. I hope you have a chance to read it. I agree...monarchs are indeed magical. I hope they will be around for future generations to enjoy. They face so many challenges! Wishing you much success with your writing! Linda thank you for sharing wonderful examples of lyrical mentor texts. I love quiet, lyrical stories! A Dance like Starlight is a favorite. Thank you for the mentor text suggestions and post. Hi Elizabeth. Thanks for commenting on my post! A DANCE LIKE STARLIGHT is one of my favorites as well. So beautifully written AND illustrated! These are my favorite kinds of books too! Thanks for highlighting them - it often feels like all resources point to innovative/unique presentation these days. Hi Michele! I was curious about your comment and wondered if you meant that the quieter books are more difficult to get published. I'm glad you love the more lyrical books as well. Wishing you much success and fun with your writing! 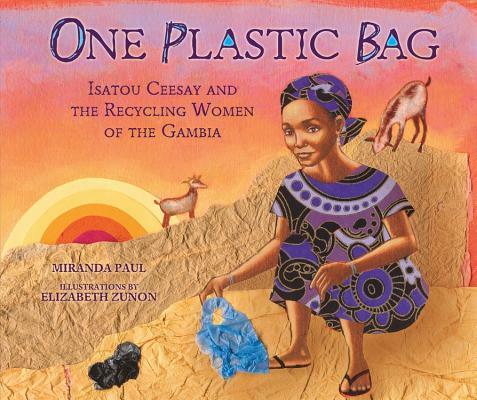 Linda, great choices for mentor texts. Thank you! You're very welcome, Cathy! I'm glad you feel they are helpful! I am currently trying to revise a draft from rhyme to lyrical writing, so thanks for this post and the mentor text suggestions! Although this is not the focus of today, necessarily, I love when picture books arch in a way that surprises me, and leads me to something unexpected, wih the 'problem' r 'issue' being rectified in a unique way. THOSE SHOES really did that for me-what a pleasantly real story. 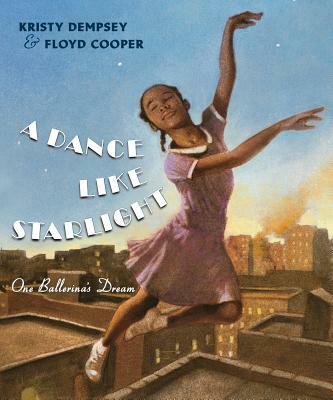 And in regards to what today does focus on, I remember the first time I read A DANCE LIKE STARLIGHT and literally danced my way through the pages. The lyrical language was perfect for a dancing text. Hi Melissa! I met Maribeth Boelts at a conference in Iowa. Another author told me, "She's the nicest person in Iowa!" I smile every time I think of that comment, because she really is amazing. Actually, Iowa writers and illustrators are all a friendly bunch! :) Loved your comment about A DANCE LIKE STARLIGHT! Thank you Linda for your recommendations of picture books that use lyrical language. Something new to me. Great selection! You're very welcome, Maritza. I'm very happy you enjoyed the mentor texts! Even your book title is wonderfully lyrical! Thanks for these great suggestions. Thank you for this selection. I am finding that most of my writing has been described as quiet and lyrical. I'm looking forward to reading these books as mentor texts. Thanks for highlighting these selections! They are inspiring! Great post! Thanks, Nancy! Glad you liked the post and mentor texts! I really enjoy quiet, lyrical books. Thank you for your suggestions! Linda, thank you for listing some of the elements of lyrical language. I want to learn more about it. I'm not a rhymer, but would love to be able to write lyrically. Lyrical language sings its own sweet melody; it is so necessary for children to appreciate the quiet sounds, especially now as life can often seem loud and dissonant. I love teaching kids to listen for the poet's voice as they read their books. How lovely to share these books with us! Your Mr. McGinty's Monarchs is a must in our school library. 10 years ago I started a butterfly garden that is a Monarch Waystation. Hugs from a kindred spirit! More great books to read. Thanks! Lyrical language is something I admire so much, though I'm not strong in that area of writing myself. Thanks for this list of great books to learn more from! I love to read and write inspirational picture books as well. Thank you for sharing Linda! Thank you Linda. Quiet, lyrical picture books are among my favorites too. Thank you for the list of mentor texts. Quiet books are some of my favorite books. These suggestions are perfect. Thank you for sharing these lovely books. I enjoy quiet books--and these are inspiring, as well. I really enjoyed this list. Thank you for your post. I love lyrical language. I look forward to reading these suggestions. LINDA: THANK YOU for the WONDERFUL book examples to study, as well as the points to look for as we study -- and LOVE -- them! Your MR. MCGINTY’S MONARCHS should be on this list, too!!! Thanks for the great book ideas. Thank you so much for this list! I'm all set to read for personification, alliteration, repetition, vivid verbs and rhythm of words. Thank you for these suggestions. There are a couple new-to-me selections that I look forward to reading. Thank you for these suggestions. I love that when children hear lyrical language in books like these, they are learning how beautiful language can be. Thank you Linda for the list of books- lyrical and emotional development at the same time for kids. Thanks for your reading choices--three of which I am not familiar with. I love reading beautiful language, too. It is such a treat and very inspiring for my own writing! I was able to get three of these fine books. I already had One Plastic Bag and had read A Dance Like Starlight. I texted my sister today and told her about Mr. McGinty's Monarchs. She "raises" butterflies and loves to share nature with her grandchildren. Now I know what lyrical PB's are thank you very match. Also your book sounds wonderful a story about monarch butterflies awesome!! These books are just beautiful read aloud! I look forward to reading Mr. McGinty, as we (in Austin) are in their migration path! Lyrical and quiet are the picture books that I like to write. Thank you for sharing some excellent titles, Linda. Several of these books were new to me and I’m so glad for the chance to read them. They are all so beautiful in both language and message, as is Mr. McGinty’s Monarchs. Thank you for your post! I loved these mentor texts. They truly reach the heart. Thank you! Struggling with a lyrical text right now, thanks for the inspiration. Many thanks, Linda. Lyrical text is also my favorite and I'm so glad to add these as my mentors. I appreciate how you convey the beauty of the "quiet" stories that are impactful and often inspirational with their messages. These are excellent mentor text suggestions, so many thanks for sharing! Thank you, Linda for your great list of quiet, lyrical books. Very insightful! Word use is such a fun part of writing and revising -- thanks for these PB recommendations, Linda! Lyric writing is such a gift! I am reading way too many "rhyming garbage but somehow published by big houses" stuff - what is up with THAT? Such wonderful inspiring writing. Thank you for this list. A sweet lyrical story is the best! I'll be taking your list to the library tomorrow. Thank you for some great mentor texts. I find writing lyrically difficult. By reading more I'm hoping to improve. Lyrical texts w beautiful art--my favorite! Though quietish books are often a tough sell. Thanks for these! I'm definitely drawn to these kinds of stories--both to read and to write :) Thanks, Linda! Great list - I'm always looking for books that focus on lyrical language. Thank you for this list of lyrical PBs! I loved MISS COLFAX'S LIGHT, and I love lyrical, so I'll definitely check out the rest--including your MR. MCGINTY'S MONARCHS. Thank you, Linda. Thank you for this terrific selection of mentor texts and this inspiring quote: "...the more we read, the stronger our writing becomes." Yes! Thanks you for reminding me to be attentive to language and all its expressive forms. I am working on a more quiet, lyrical story so this post was perfect. I've read many of the mentor texts but can't wait to check out the others I'm not familiar with yet. Thank you and congrats on your continued success! They tell us that editors don't like quiet books...but when the quiet books have incredible stories/characters/settings...they cannot be denied! Thanks so much, Linda, for suggesting these...I need to get Miss Colfax's Light and A Dance Like Starlight. Great list! Love Miranda Paul! Personification, alliteration, repetition, vivid verbs, and rhythm of the words! Such great mentor texts, and great gift-away. Thanks! Thank you for these great suggestions, Vivian, and for reminding us of the beauty of quiet books. We can learn much from their lyrical language and storytelling. 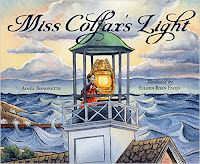 These texts are great -- I really liked Miss Colfax's Lighthouse. Thank you! Thank you for these texts - aspirational for how to do lyrical right! I'm a huge Monarch fan! Looking forward to reading your book.